The BP is not OK with the plan. Manhattan Borough President Gale Brewer has issued her recommendation to the City Planning Commission (CPC) on the proposed Inwood rezoning, voting no with conditions. In her April 26 document to CPC, provided as part of the city’s Uniform Land Use Review Procedure (ULURP), Brewer rejected the city’s rezoning plan and detailed several recommendations needed to gain her support. She stressed that the city’s plan must be altered to prevent displacement of residents and businesses. 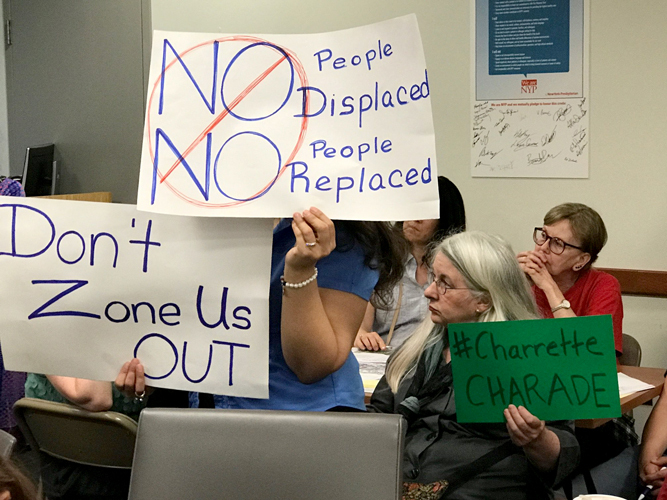 “A rezoning could add sorely-needed new housing with guaranteed, permanently affordable units, but it cannot work unless it includes stronger protections and support for existing local businesses and tenants,” she added. Regarding the controversial plan to reconstruct the Inwood Library with a new building that incorporates affordable housing, Brewer said she would only support the plan if the city announced a “brick and mortar” interim library that the community can use during the construction period.